The Book Life: Emily's Dress and Other Missing Things by Kathryn Burak: Review + Giveaway!! 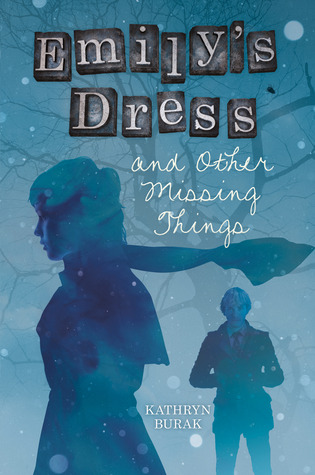 Emily's Dress and Other Missing Things by Kathryn Burak: Review + Giveaway!! When Claire’s best friend Richy went missing, he disappeared without a trace. But when Emily Dickinson’s dress goes missing from the Amherst museum, she knows exactly where it is: in her closet. As Claire and her student teacher, Tate, attempt to figure out what do to about the dress, they begin to uncover the truth behind Richy's disappearing act. Following a trail of clues across state lines, Claire and Tate attempt to find the person that Claire knows in her gut is responsible for his disappearance. This book is a complete gem. I almost missed out on reading it, myself, but I am so glad that I didn't. You've got the perfect mix of a rich, layered story, solid and unique characters, and a nice bit of mystery worked in. Claire is not a simple girl and she doesn't have such a happy past. I really enjoyed viewing things from her perspective and seeing her way of coping with life and the things it throws at her. We don't find out everything about her all at once, nor am I really sure we ever know exactly what has made her who she is by the end of the story, but I love the way her story unravels and pieces of her start to come together. She certainly has a hard time letting people in and when Tess befriends her, it certainly took a while for Claire to appreciate the friendship and realize that she really was something good in her life. I think the contrast between them added so much to the story. 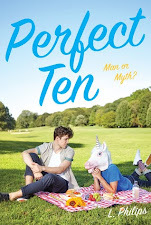 Tess loves love and all of the things it adds to life, while Claire remains cautious of most things and tends to dwell on the bad things that have happened in her life. Sam Tate, what to say about him? Initially, he comes off as kind of a jerk. Then we find out he is, in fact, a student teacher in Claire's class and he has a penchant for arguing with her. So it certainly took me a bit to warm up to him, but as we get to know him a little better, it became a little clearer to me why he was that way at first. Claire does some pretty crazy things during the book and Tate shows up for her time and time again. Pretty noble, considering he doesn't really know anything about her. Claire is determined to find out what really happened to her best friend Richy and Tate seems to be determined to help her. And don't go yet, because Kathryn has graciously offered up a signed copy of Emily's Dress and Other Missing Things to one lucky commenter! Tell us what earns a book a spot on your keeper shelf, and you'll be entered to win! Be sure to leave a way to contact you if you win (email, twitter handle, blog link, etc.). Giveaway ends on October 31st. US/CAN Only. Thanks to Random.org the winner has been chosen! She has been contacted and confirmed! Thanks everyone who entered, and even if you didn't win, definitely go pick up EMILY'S DRESS!! If it is a book I love then it always stays on my keeper shelf! I have tons! Thanks for the chance to win! I usually keep all my books whether I get them as gifts, ARCs for review, or buy them. I only get rid of them if I didn't like them at all. Otherwise, they're there to stay! Thanks for the giveaway! I have way too many books on my keeper shelf! Anything that is signed or earns a 5-star review will always remain a keeper. Also--anything that is part of a series. Missing one part of a series from your bookshelf is like having teeth missing from your mouth. 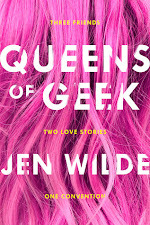 What earns a book a spot on my keeper shelf is if the story is unique and keeps me guessing, the characters/writing make me laugh out loud, and if the book is written in such a way that the events in the story play out vividly and effortlessly in my mind! Books stay on myself if I was really abole to connect with them. My keeper shelf may be super big, but they are books that I know I would like to read again at some point - if I ever find the time to do so!